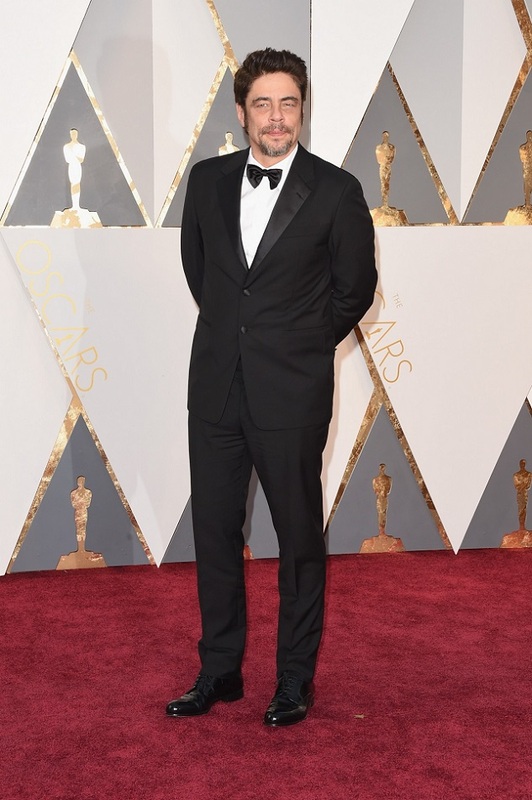 Alejandro Gonzalez Iñárritu, winner of best director for ‘The Revenant’, selected a PRADA black kid mohair shawl lapel tuxedo, white stretch popeline smoking shirt, a black grosgrain bowtie and black spazzolato shoes. All by PRADA. Benicio Del Toro wore a PRADA black lana mohair notch lapel tuxedo, white stretch popeline smoking shirt, black grosgrain bow tie, and black patent leather shoes. All by PRADA. Emily Blunt wore a PRADA blush pink cady empire waist gown, enriched with crystal and damier embroidery. 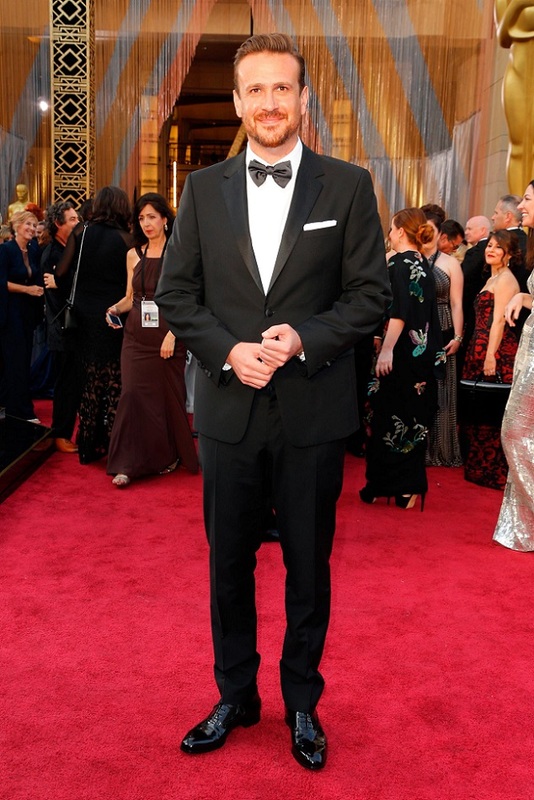 Jason Segel selected a PRADA black silk wool notch lapel tuxedo, an ivory stretch popeline smoking shirt, and grey satin bow tie, finished with a white pocket square and black patent leather lace-up shoes. All by PRADA. 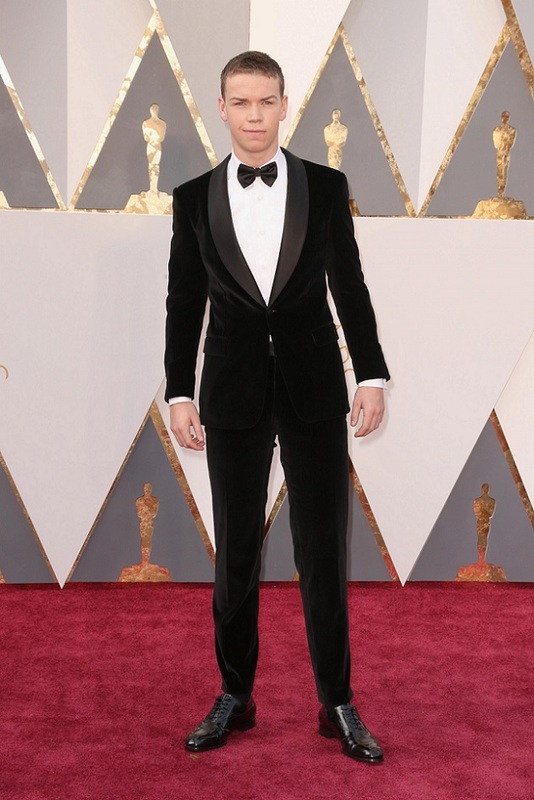 Will Poulter wore a PRADA black velvet tuxedo with a satin shawl lapel, a white popeline smoking shirt, and black ‘spazzolato fumé’ lace-up shoes. All by PRADA.